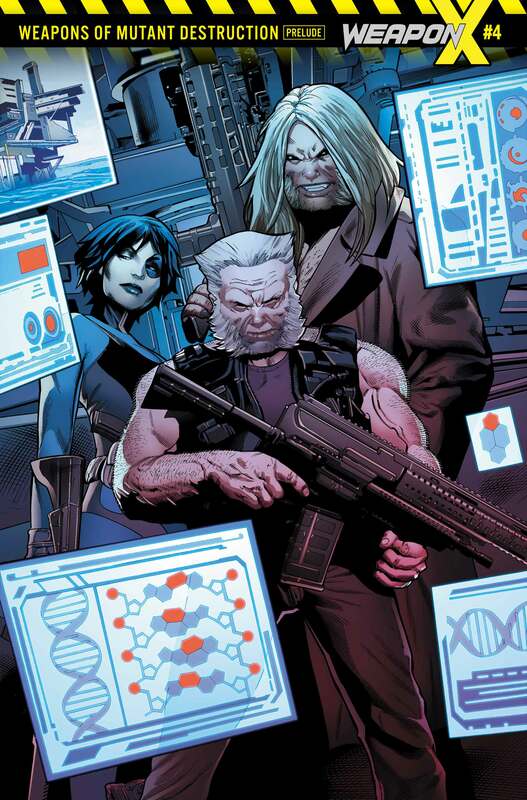 It wasn’t too long ago that Marvel teased us with a foreboding image depicting the Hulk in a stasis tube, forcing us all to recall the horror Wolverine once endured in the Weapon X program. 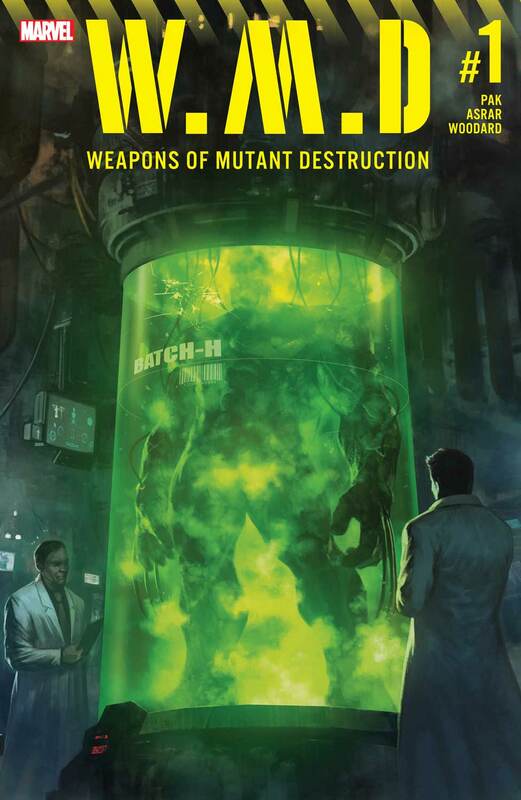 Thankfully, we weren’t left scratching our heads for long, as the publisher confirmed that it was part of the marketing strategy for a monumental crossover dubbed Weapons of Mutant Destruction. 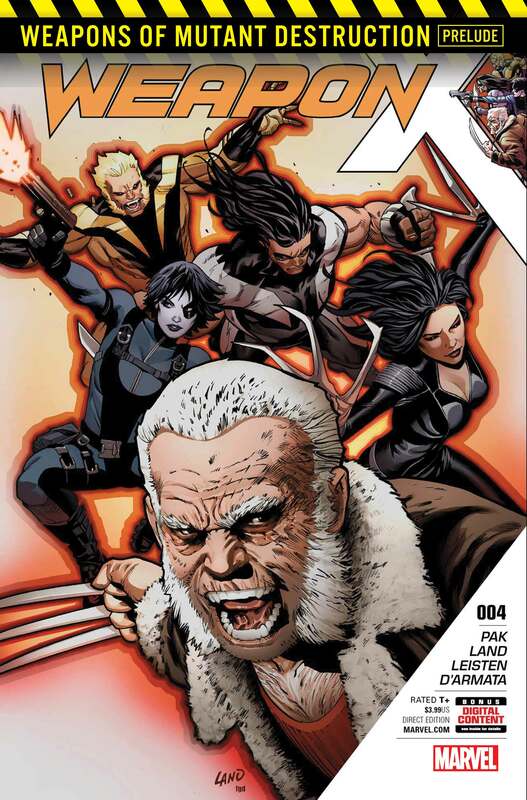 As it turns out, the Weapon X program itself is now under the direction of a mysterious party, whom, you guessed it, aims to exterminate all mutants and the Totally Awesome Hulk, Amadeus Cho, is key to the plan. 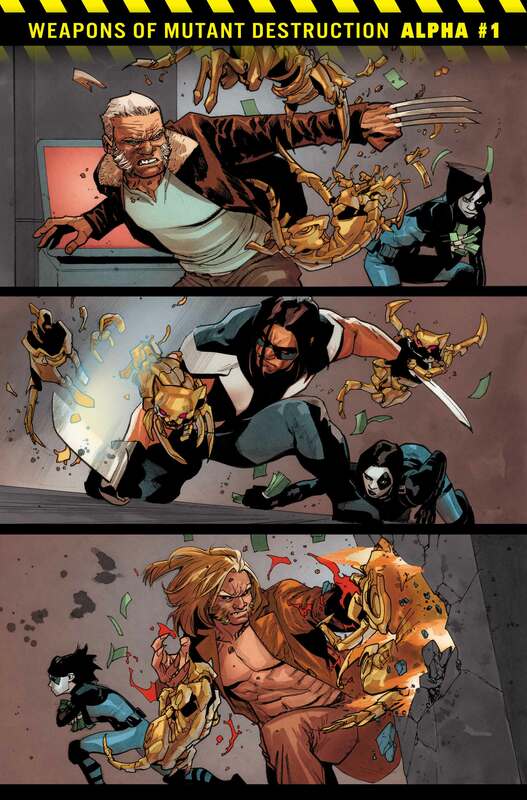 Writer Greg Pak, one of the chief architects of this storyline, had this to say about it. 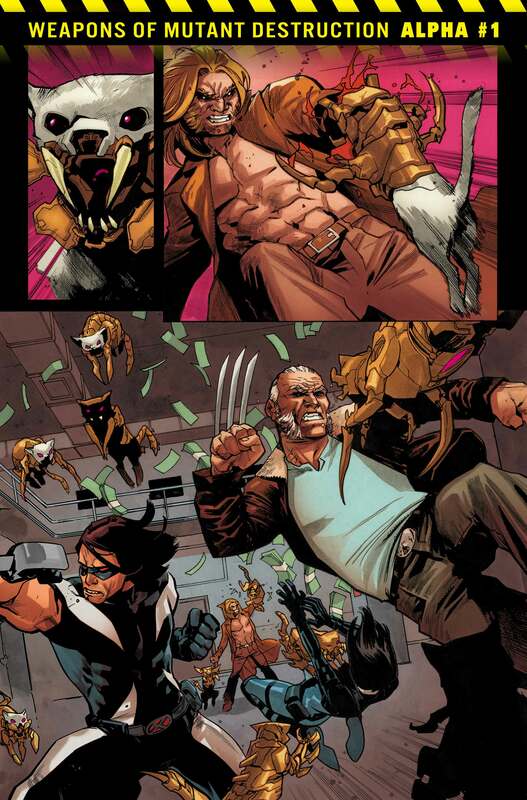 “The heroes and villains who have come together to battle the new Weapon X include some of Marvel’s most ruthless killers, trackers, and hand-to-hand combatants with Logan, Sabretooth, Domino, Warpath, and Lady Deathstrike. 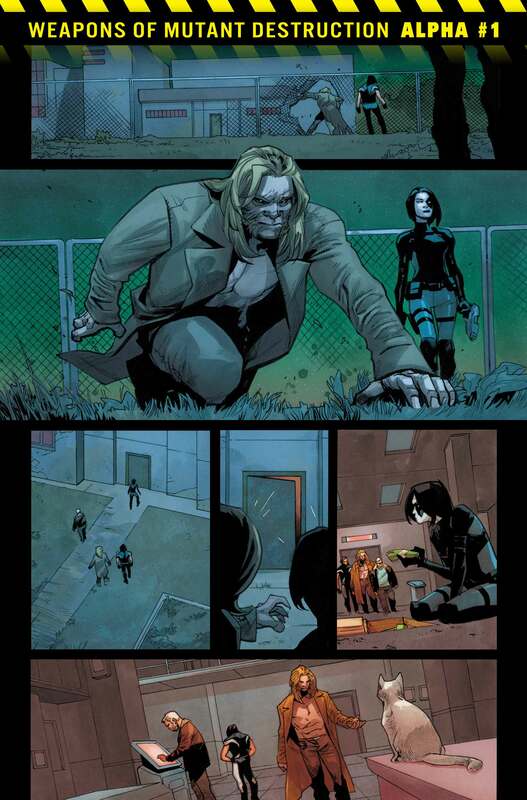 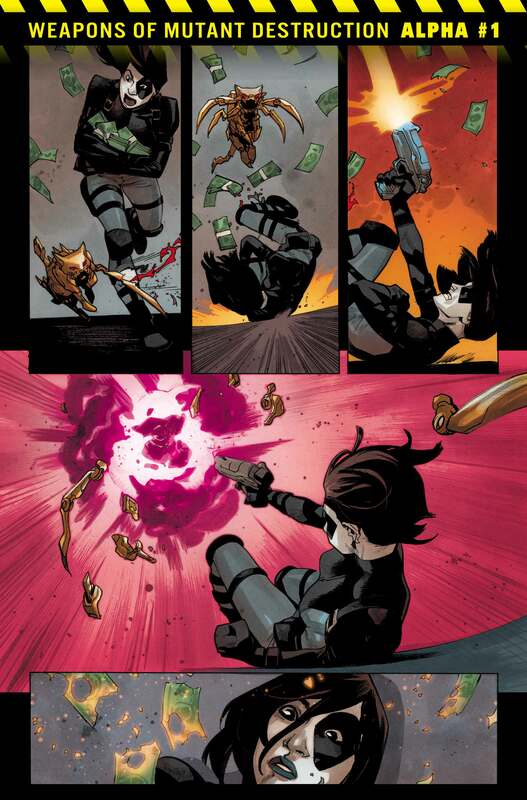 But to stop Weapon X, our team needs the brains and brawn of Amadeus Cho, a.k.a. 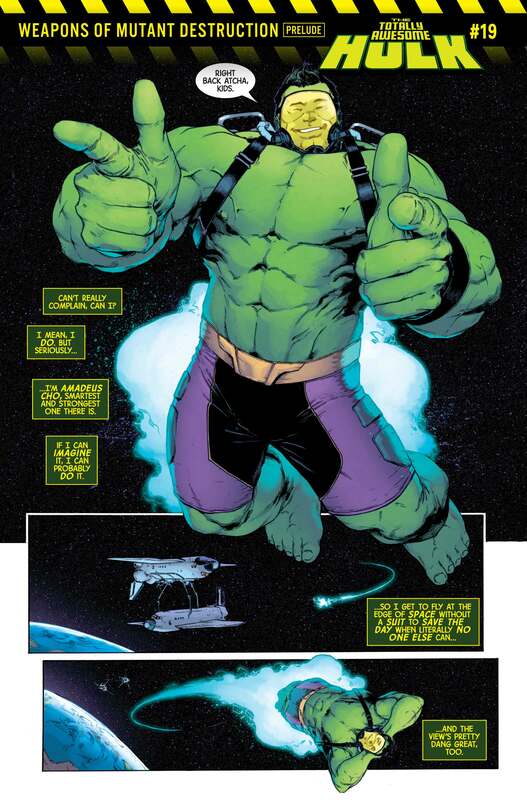 the Totally Awesome Hulk. 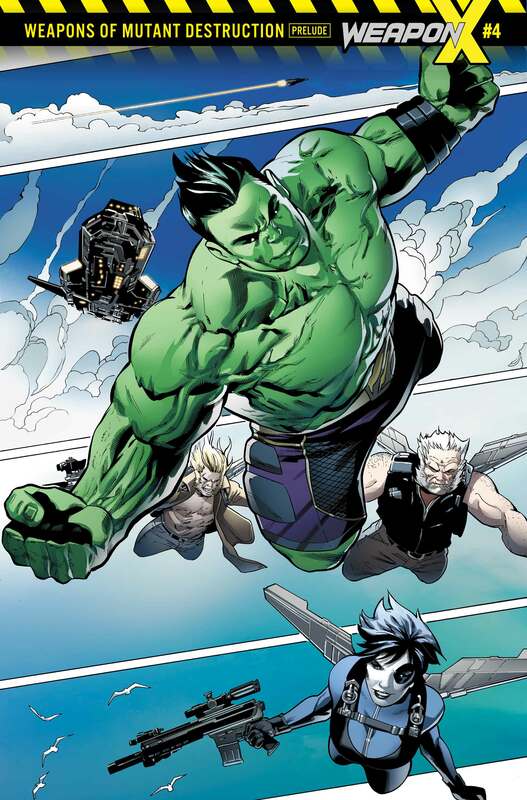 The trick is that Amadeus’s cocky optimism might put him on a collision course with his own ruthless teammates. 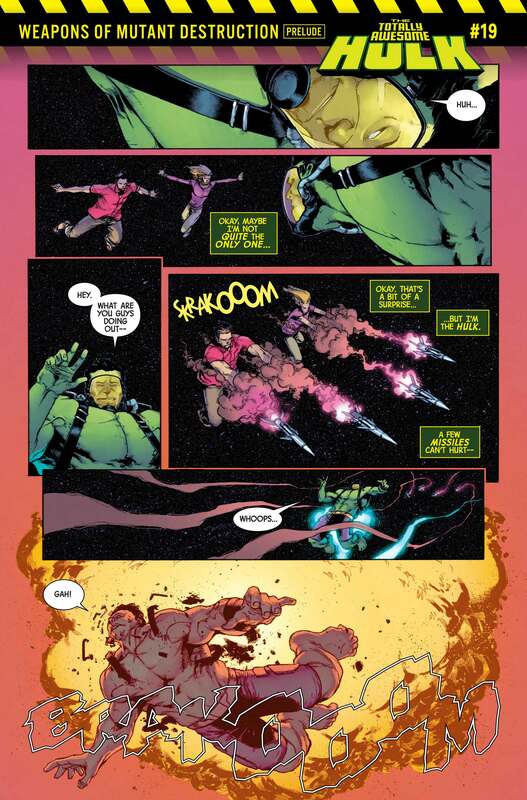 The sheer visceral fun comes from the massive mayhem of the world’s most lethal X-Men cutting loose alongside the Hulk with the fate of all mutantkind in the balance. 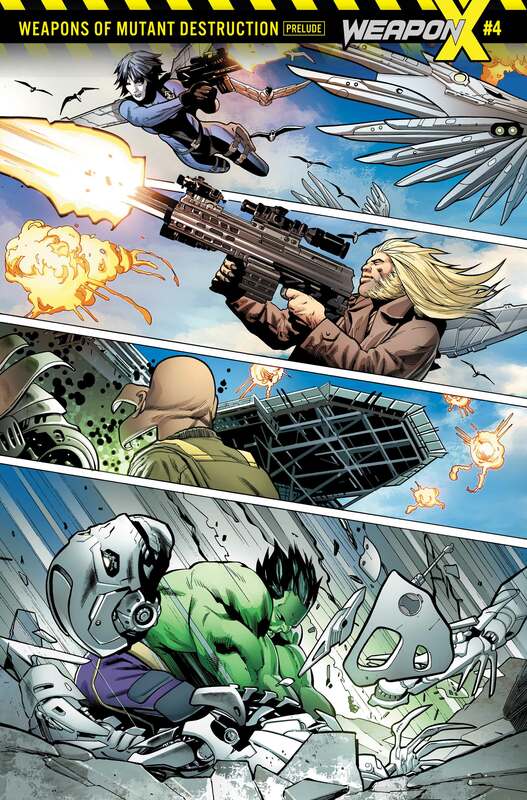 Before we list the issues participating in the crossover, be advised that you should probably also pick up Totally Awesome Hulk #19 and Weapon X #4 when you purchase your copy of Weapons of Mutant Destruction: Alpha #1 on June 21, seeing as how they’ll serve as prelude chapters. 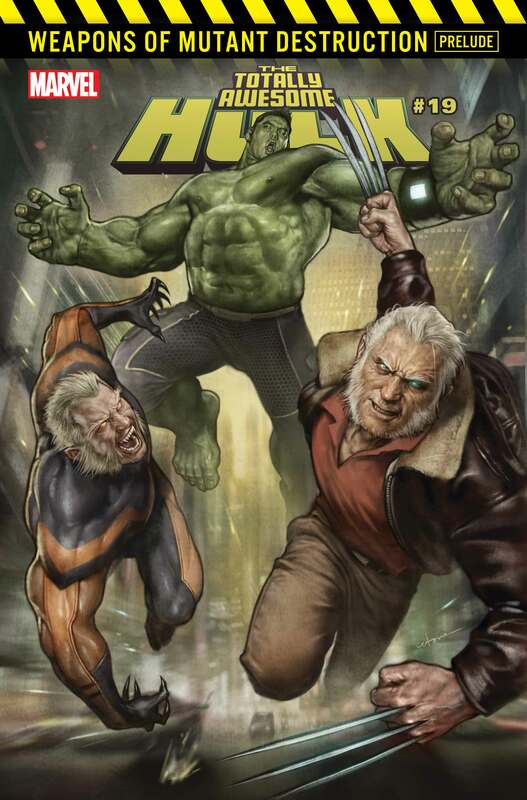 As luck would have it, previews for all three can be found in the gallery at the top.